First delivered by St. Louis Car Co. in 1972 to the Illinois Central Gulf's electric lines serving the Chicago area, the Highliner cars are the first true bilevel MU electric cars in North America. They operate in 2-Car sets. 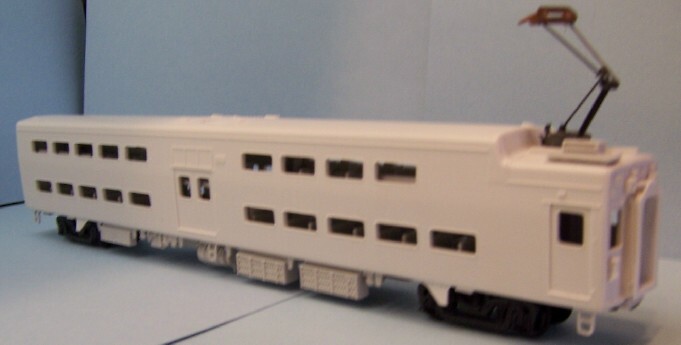 Subsequent paint schemes for Chicago RTA and Metra have appeared along with rebuilds and more Highliner cars purchased from Bombardier in the late 1970's. They still serve today, though the original 1972 cars were slated for replacement and retirement beginning in 2005. The sample model is fitted with Detail Associates trucks. 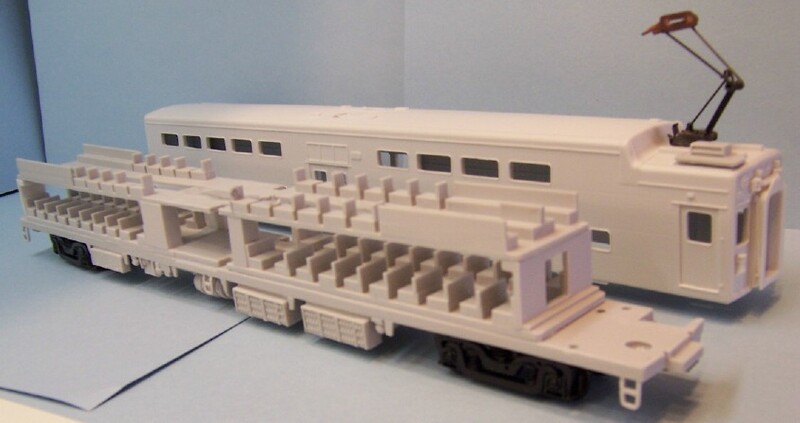 The kit does not include trucks, wheelsets or pantographs. The instructions contain recommendations and sources for purchasing these components. WE ARE CONSIDERING A RE-RUN OF THESE RESIN KITS IN 2014 DUE TO SOME DEMAND. The re-run would not be produced by IHP in our own casting facility, but would be subcontracted. 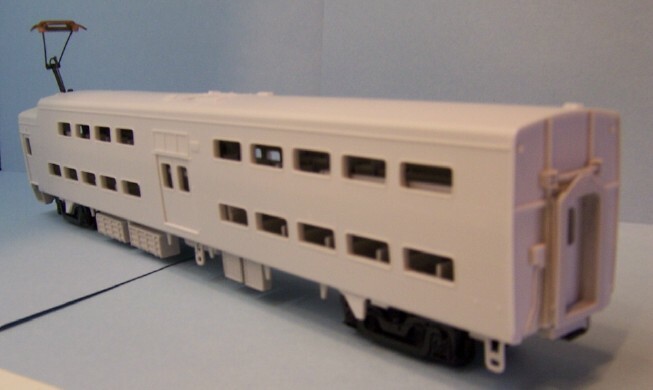 This would mean a slightly higher retail price, and we would have to purchase a minimum quantity (no casting of kits to order), so we would have to be assured of interest and we WILL be taking deposits. The run will likely be short, perhaps 20 or 30 sets or so. The kits would be the same as the first run EXCEPT we will be dropping the interiors to help keep the price lower. Please contact IHP if you are interested; we will be taking credit card numbers to keep on file once we can arrange production and have a better idea of retail price. We can expect perhaps $250 per 2-car set, at least.